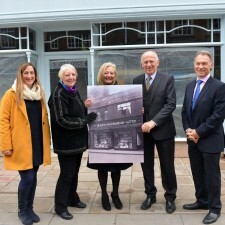 The Gainsborough town centre regeneration scheme brought forward by Dransfield Properties and West Lindsey District Council has signed the first tenant for the newly refurbished retail space on Market Street in the town centre. 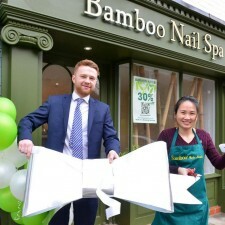 The brand new nail bar will open at 35 Market Street, one of the striking new retail premises which have been delivered by the unique partnership between the award winning retail developer and the local authority. 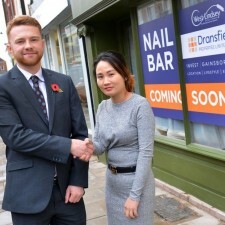 The new nail bar run by Kim Phan, can be found close to the Market Place and Marshall’s Yard, and next to the brand new Travelodge Hotel; also delivered by Dransfield Properties. 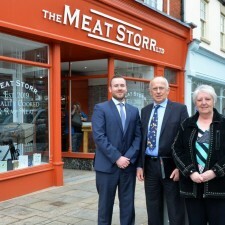 The 56 room hotel opened to its first guests last week and has transformed this key site in the town centre. Kim is expanding her existing business, introducing the new nail bar to the town next month and creating 3 new jobs in the area. The nail bar will offer beauty services including shellac, gel polish, acrylic extensions, pedicure treatments and nail art. Dransfield Properties’ Estates Surveyor Alisdair Gillespie said “We are delighted to bring another fantastic independent business to Gainsborough and we wish Kim the very best in her new premises. As well as new retail space the development has also delivered 3 stunning new first floor apartments and the new nail bar will have a 4th apartment above it in the next phase of the works.